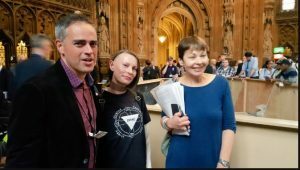 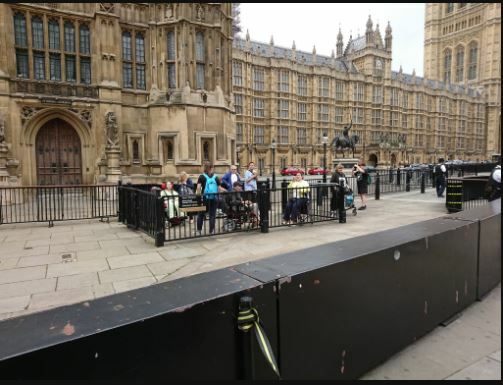 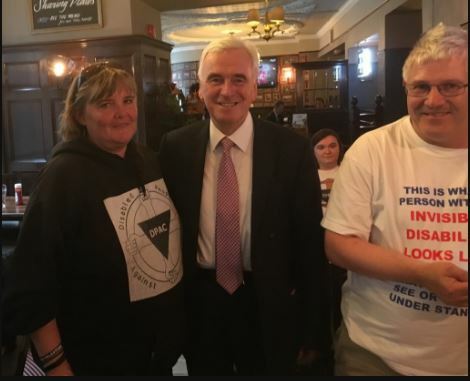 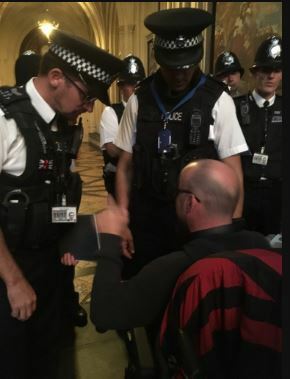 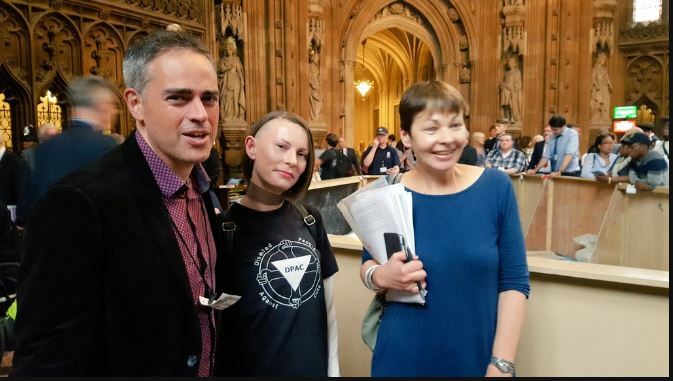 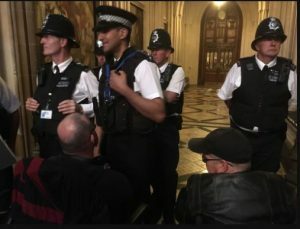 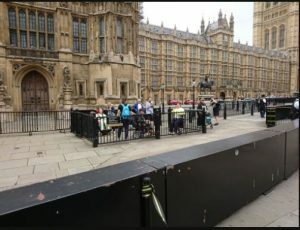 While there, they decided to occupy the area, as they did a few years ago, and they received the support of MPs like Jeremy Corbyn, John McDonnell, Caroline Lucas and Bartley among others. 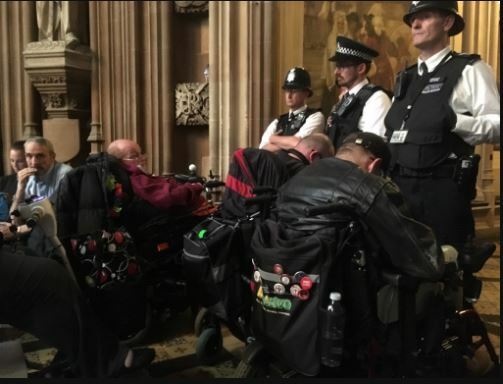 I can see their “Police” badges… but where are their “ATOS” and “CAPITA” badges??? 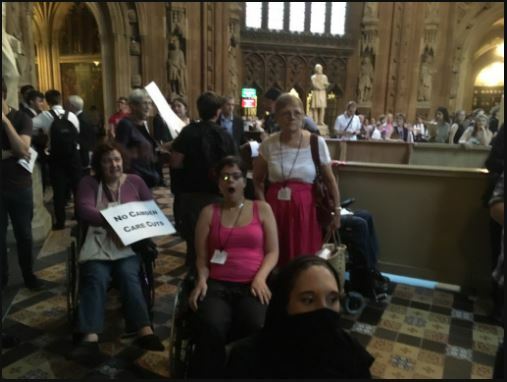 Re: the Canary story about this – “But you won’t see it on the BBC”. 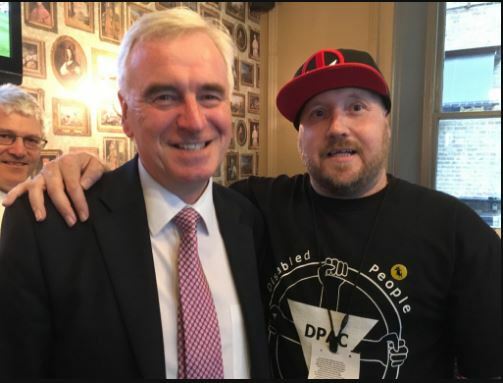 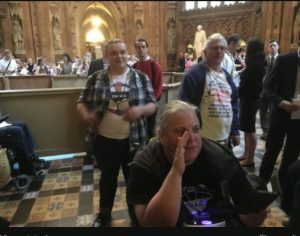 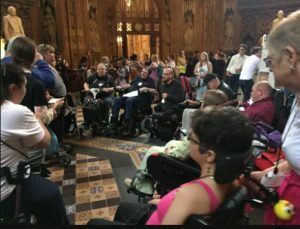 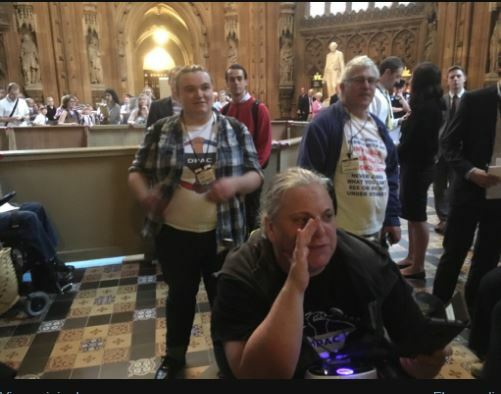 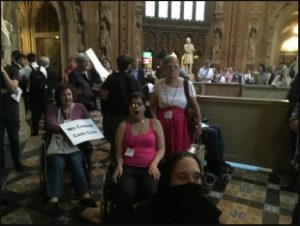 Call on government to act urgently on independent living/social care funding for disabled pple The 2 year job rule for disabled people on Universal Credit is not true!